Upcoming Sally Forth Sunday page drop panel. I’m usually about a month and a half ahead of the print date for Sundays. For this one I used a straight edge razor to scratch away the ink lines for the light filtering in. I’ll do some touch ups, then scan and lay in the title lettering. 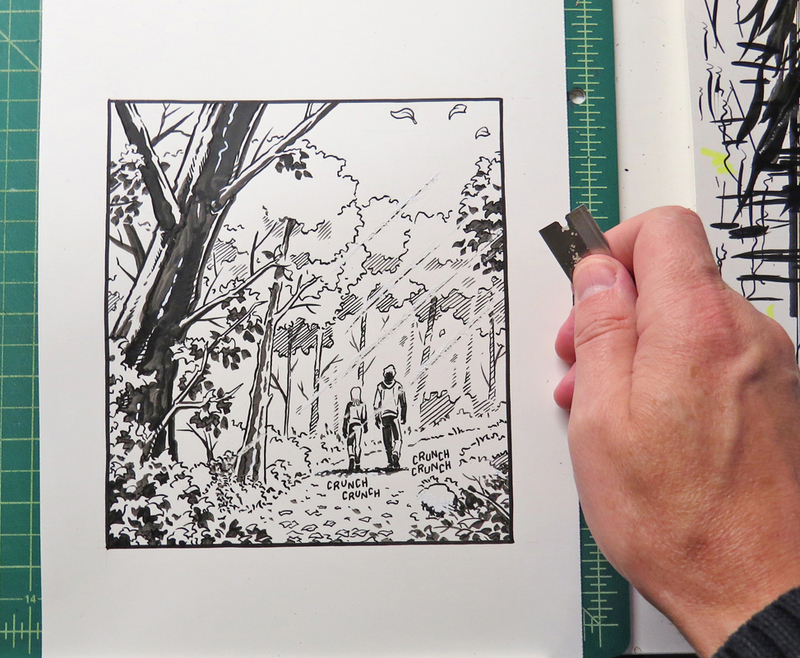 For info on the specific tools I use, check out Comics – Tools of the Trade.